Alzheimer’s and Cardiovascular Disease Part 2! As we’ve seen from the previous post, there is a natural connection between Alzheimer’s and cardiovascular disease. In your skull is a 3 pound wonder that has 100 billion neurons sending each other electrical and chemical signals in an orchestrated pattern that creates memories and allows for learning. 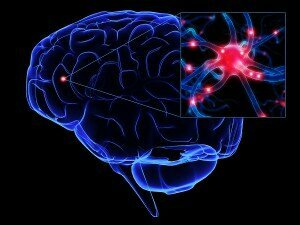 Each nerve cell communicates with many other neurons to form networks. These networks of neurons have special jobs. Some help us to see, hear, and breathe. Other networks are involved in thinking, learning, and remembering. To keep everything running requires large amounts of nutrients and oxygen. It’s your cardiovascular system that will deliver the needed resources for brain function. If your circulation is compromised then you will compromise brain function. Maybe you’ve experienced first hand the emotional and financial costs of being a caregiver to a loved one who has Alzheimer’s or any other form of dementia. Although there are no current cures for Alzheimer’s, there are steps you can take to prevent this dreaded disease. How to Prevent Alzheimer’s and Cardiovascular Disease Naturally! In our previous post we examined how folic acid, omega-3 fatty acids, and beta carotene can significantly reduce your risks. In this video we’re going to look at Iron and the Mediterranean diet as part of the mix. Our goal is to give you a game plan for the prevention of Alzheimer’s and cardiovascular disease since they are strongly related. A Concise Game Plan to Prevent Alzheimer’s and Cardiovascular Disease Naturally! You need to repair and nourish your endothelial cells to improve their ability to properly produce nitric oxide – the master signaling molecule of your entire cardiovascular system! The amino acids L-arginine and L-citrulline need to be part of your daily diet! Green vegetables are key to improved brain health! You need to consume at least 400 micrograms of folic acid on a daily basis. Omega-3 fatty acids make such a difference! 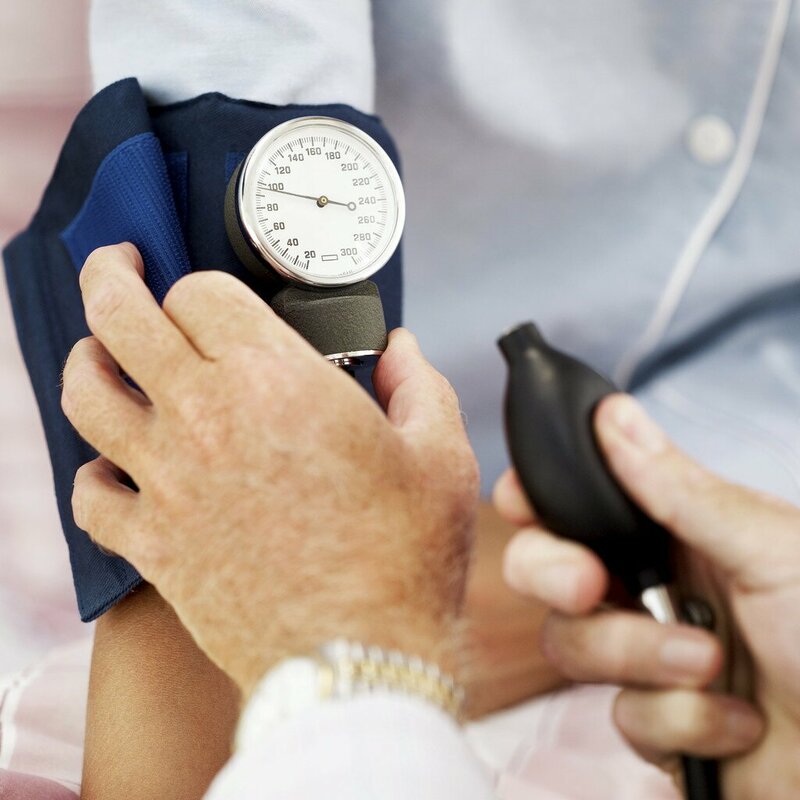 A yearly physical can help you pay attention to your blood pressure, cholesterol, blood sugar, and iron levels! Exercise can improve brain function! You Can Repair and Nourish Your Endothelium to Help Reduce the Risks for Alzheimer’s and Cardiovascular Disease! Take ProArgi-9 Plus on a Daily Basis! Adopt a Mediterranean Diet Lifestyle! Exercise at Least 3 Times per Week! Over the course of these four videos we have given you a lot of information and options for improving brain health and function. We have tried to simplify the information into a doable plan of action. One that has the potential to reduce your risk for Alzheimer’s and cardiovascular disease. The longer you apply this plan the greater the benefit. Now it’s up to you to make the difference in how you and your brain age. The information contained in this article is for general information purposes only and never as a substitute for professional medical advice or medical exam. The information about Alzheimer’s and cardiovascular disease has not been evaluated by the Food and Drug Administration and should not be used to diagnose, treat, cure or prevent any disease without the supervision of a qualified medical doctor. Alzheimer’s and Cardiovascular Disease Part 1! The connection between Alzheimer’s and cardiovascular disease is real. Learning about this connection also becomes the key to preventing both of these diseases. The educational videos on this page (and in my next post) will help you understand this connection and provide you with a game plan for prevention! It’s normal to experience a loss of memory with age. What’s not normal is for this loss of memory to become so dysfunctional that it leads to dementia diseases like Alzheimer’s. Because of this Alzheimer’s has become the number one fear of the Baby Boomer population. That fear centers on experiencing the emotional, physical, and financial devastation of seeing a loved one suffer from this dreaded disease. 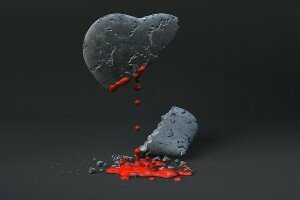 There are steps you can take to prevent this sad reality for yourself and your loved ones! These educational videos will help you develop a simple but highly effective game plan for prevention. You really do have the power to make choices that will enhance your health and lower your risk. You Can Prevent Alzheimer’s and Cardiovascular Disease Naturally! FACT: One out of five people (20%) over 65 and 50% of people over age 85 are afflicted with Alzheimer’s disease. Approximately 5.2 million Americans and 26.6 million people worldwide currently suffer with this disease. Sources: U.S. Food and Drug Administration, Alzheimer’s Association. The other sad reality is that there is currently no known cure for Alzheimer’s. Once you have it it’s a progressively disabling disease that will result in death. The Cure Lies in Prevention! That’s right. You have the power to make a significant difference in how this disease affects you, as well as the people around you. There is enough research and clinical data to positively demonstrate that if you properly care for your cardiovascular system you will substantially reduce your risk for Alzheimer’s and cardiovascular disease. The Connection Between Alzheimer’s and Cardiovascular Disease! 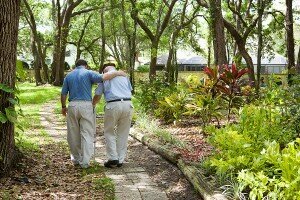 Alzheimer’s is a progressive brain disorder and is the most common form of dementia. More and more research is showing that there is a direct connection between Alzheimer’s and cardiovascular disease. Antioxidants to Reduce Free Radical Damage! The Need for Folate or Vitamin B9! 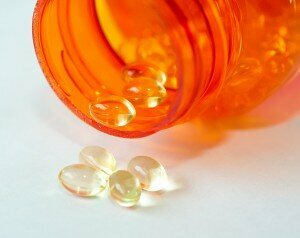 How Omega-3 Fatty Acids Lower the Risk of Alzheimer’s by 40 to 50 Percent! The Need for Beta Carotene! We’ll Continue This Series on Alzheimer’s and Cardiovascular Disease in Our Next Post! Folic acid, omega-3 fatty acids, and beta carotene have all been shown to significantly reduce your risks for both Alzheimer’s and cardiovascular disease. In our next post we will examine Iron and the Mediterranean diet as part of the mix. Our goal is to give you a game plan for the prevention of Alzheimer’s and cardiovascular disease since they are strongly related. While I cannot promise you that if you follow the plan of action outlined in my next post you will be free from these dreaded diseases, I do believe you will significantly reduce your risk. Not only can you lower your risk but you can also empower others to lower their risk for Alzheimer’s and cardiovascular disease as well. My friend Bert Middleton asked me to produce a series of videos on high altitude training specific to cardiovascular health and function. Why? Because he’s always looking for ways to improve his legs and lungs to get the most out of his mountain biking and powder skiing. What I share in these videos also applies to every person because at the heart of all activity is your cardiovascular system. Foundational to your cardiovascular system is your endothelium. This one-celled organ lines all of your heart, arteries, capillaries, and veins. It ultimately determines the health of your entire circulation and plays a critical role in your overall health and wellness. Bert is also seeing that this directly applies to his powder skiing now that the ski season has opened in the mountains of Colorado. If you’re looking to maximize your performance and recovery in mountain biking, snow skiing, or any type of high altitude sport, then watch and listen to these three videos. The One Critical Organ That Makes ALL the Difference in High Altitude Training! 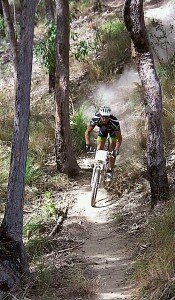 Most high altitude athletes concentrate on improving their heart and lung function. While these two organs are important, there is another organ that most never even consider in their training program. Yet, this one critical organ can make ALL the difference in your high altitude training. This organ is your endothelium! 18 times more energy with less lactic acid production for quicker recovery! Learn How Nitric Oxide Maximizes Your High Altitude Training, Performance, and Recovery! As we shared in the previous video, your endothelial cells produce nitric oxide – the master signaling molecule of your entire cardiovascular system. This has a major impact on improving circulation and the ability of your blood stream to deliver needed oxygen and nutrients. Foundational to every high altitude training program is your ability to fuel muscle tissue with the oxygen and nutrients needed to sustain your efforts. The Daily Consumption of These Two Amino Acids Makes a Significant Difference in High Altitude Training! As you learned from the above video, your endothelium is critical to cardiovascular health. While your heart is important, it’s your endothelial cells and their ability to produce nitric oxide that truly controls the health of your cardiovascular system. Can a Clinically Proven Product Significantly Impact Your High Altitude Training? I believe it can. Just as ProArgi 9 Plus has benefited the cardiovascular system of thousands of patients who have cardiovascular challenges, it can also benefit the cardiovascular system of high altitude athletes. The repair and nourishment of your endothelial cells to help them properly produce nitric oxide will improve circulation. Improved circulation results in your body’s ability to work at a much higher aerobic base to create more energy for all types of high altitude training programs. Additionally, you will experience less lactic acid production, which is detrimental to all high altitude sports. Just as Bert Middleton found, this powerful blue powder called ProArgi 9 Plus can be used to enhance your high altitude training, performance, and recovery. It will also become a key factor in improving your overall health. Greater Lung Function and Oxygen Delivery! I firmly believe the product ProArgi 9 Plus, formulated by Dr. J. Joseph Prendergast, could be a real benefit to you. It’s why I’ve chosen to endorse this product and offer it to those who want to make a significant difference in their high attitude training. If you would like to try ProArgi 9 Plus, with a 100% Satisfaction Guarantee, then please Click Here! Together, we can help you see significant improvements in your high altitude training, performance, and recovery so that you can maximize your investment in your high altitude sport. The information contained in this article is for general information purposes only and never as a substitute for professional medical advice or medical exam. The information about high altitude training has not been evaluated by the Food and Drug Administration and should not be used to diagnose, treat, cure or prevent any disease without the supervision of a qualified medical doctor. Complications of Diabetes – Part 2! As we learned in the previous article Complications of Diabetes – Part 1 there is a one-celled thick organ called the Endothelium that is constantly being damaged by high blood sugar levels. This damage to the endothelial cells reduces their ability to proper produce Nitric Oxide the master signaling molecule of your entire cardiovascular system. 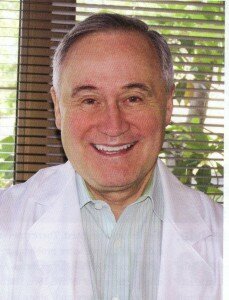 Dr. J. Joseph Prendergast has pioneered a natural approach to repairing and nourishing your endothelium so that your endothelial cells can regain their ability to produce nitric oxide. This article will continue our video series to help you understand how you can take a proactive approach to reducing the complications of diabetes. Nitric Oxide Can Dramatically Reduce The Complications of Diabetes! If you want to improve your circulation, improve your kidney function, decrease your risk for cardiovascular disease, help bring your blood pressure back into a normal range, and lessen the potential for strokes and heart attacks, then you need to understand the importance of nitric oxide. Simply stated you could not live without nitric oxide. It is critical for proper cardiovascular function. Addressing The Hidden Enemy That Can Compound the Complications of Diabetes! There is a hidden enemy that can compound the complications of diabetes. This hidden enemy is seldom addressed but affects everyone – especially the African American community. This hidden enemy is an enzyme called arginase. Arginase is used by your liver to help detoxify you. Unfortunately, arginase also destroys L-arginine. As you learned in a previous video, L-arginine is the primary amino acid used by your endothelial cells to create nitric oxide. This means that the enzyme arginase can reduce nitric oxide production by destroying L-arginine before it can be converted to nitric oxide. A Clinically Proven Natural Product and Alternative for Reducing the Complications of Diabetes! 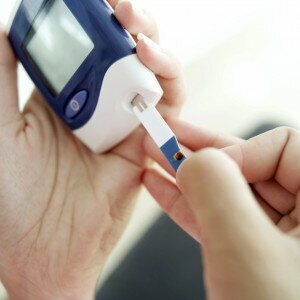 Controlling blood sugar levels is vitally important for a diabetic. This has been the standard approach for most people with diabetes. However, this approach doesn’t address the damage caused by blood sugar to the endothelium. Dr. J. Joseph Prendergast has pioneered a second approach to addressing the complications of diabetes. This second approach centers on the repair and proper nourishment of your endothelial cells. This approach allows them to heal and properly produce nitric oxide – the master signaling molecule of your entire cardiovascular system. Dr. Prendergast has been using this approach since 1991. He has combined Nobel Prize winning science with cutting edge vascular research out of Stanford School of Medicine’s Cardiovascular Research Center to develop a clinical application that has benefited thousands of his patients and tens of thousands of people around the world. If you would like to try a clinically proven product that can repair your endothelial cells and improve their ability to properly produce nitric oxide, then you can order ProArgi-9 Plus by clicking here. I’ve set up an ordering system that offers you wholesale pricing with free shipping to those with US zip codes. Please click here for more information on ordering. The information contained in this article is for general information purposes only and never as a substitute for professional medical advice or medical exam. The information and videos about the complications of diabetes has not been evaluated by the Food and Drug Administration and should not be used to diagnose, treat, cure or prevent any disease without the supervision of a qualified medical doctor. Diabetes has grown to epidemic proportions. With this increase has come an increase in the complications of diabetes. Most of these complications center on poor cardiovascular health. According to the June 26th issue of The Lancet, diabetes appears to double the risk of dying from a heart attack, stroke, or other heart conditions. These series of videos will help you understand that it doesn’t have to be this way! Listen to this first video as I set the stage on helping you control the complications of diabetes. The Complications of Diabetes Can be Dramatically Improved When You Understand This Approach! It’s estimated that 23.5 million American adults have either Type I or Type II diabetes. High blood sugar causes damage to your cardiovascular system resulting in the complications of diabetes. 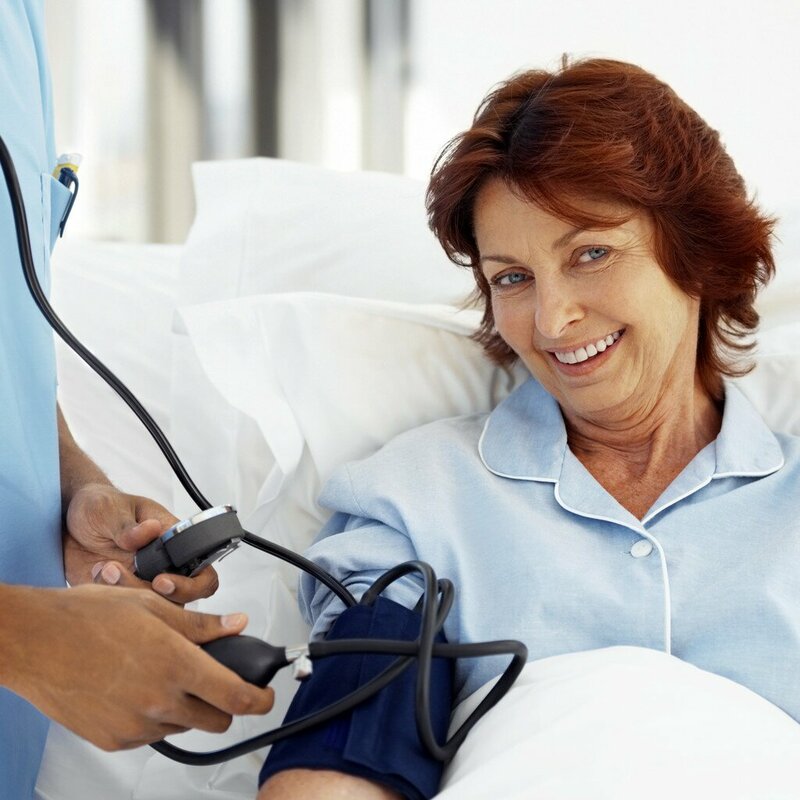 These complications include poor circulation, poor kidney function, cardiovascular disease, high blood pressure, and the increased potential for strokes and heart attacks. All are life threatening. To Reduce the Complications of Diabetes You Must Pay Attention to This Organ! Most people think that you must concentrate on your heart if you want to reduce the complications of diabetes. While your heart is critically important to your health, it’s not the key organ. The key organ that you must properly nourish and repair is your endothelium. Two Amino Acids are Key to Reducing the Complications of Diabetes! Before we can discuss nitric oxide we need to look at the two natural amino acids that your body needs on a daily basis. These two amino acids are L-arginine and L-citrulline. One is fairly common and one is not. We’ll continue this video series on reducing the complications of diabetes in my next article. We will talk about how nitric oxide specifically addresses several health issues common to diabetics. One of the videos will examine the hidden enemy in your bloodstream that can cause additional problems for diabetes. I’ll show you a natural way to overcome this hidden enemy. Plus, we’ll look at a natural product that can make a huge difference in reducing the complications of diabetes. Atherosclerosis involves the calcification of your vascular tissue. Osteoporosis involves the decalcification of bone tissue. Could there be a link between the two? Here is a medical fact that few physicians know and even fewer in the general population have ever heard about. As you age your endothelial cells, which line all of your cardiovascular system, can turn into bone cells. They are known as osteoblasts and they normally regulate bone formation. This discovery was originally made in 1993. Since this discovery research has shown a link between atherosclerosis and osteoporosis. Those with atherosclerosis typically also have weaker, more brittle bone with an increased risk for fracture. Those with osteoporosis typically exhibit hardening of the arteries or atherosclerotic calcification leading to atherosclerosis. To date the precise biological mechanisms behind the transformation of endothelial cells into osteoblasts, or bone-forming cells, is not fully understood. What is understood is the key role Vitamins D and K play in ensuring that calcium is properly used in bone formation while at the same time preventing the pathological calcification of your arteries. These two nutrients operate synergistically to combat osteoporosis and atherosclerosis. Vitamin D and Its Role in Atherosclerosis! Vitamin D inhibits vascular calcification, which can lead to atherosclerosis. Vitamin D deficiencies are associated with hypertension, diabetes, increased thickness of the carotid artery, heart attack, and stroke. 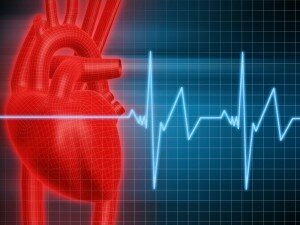 Below normal levels of vitamin D is also implicated in congestive heart failure. We’ll examine the function of Vitamin D and cardiovascular health in a future article. Vitamin K and Its Role in Atherosclerosis! Most people have never heard of Vitamin K yet it plays a critical role in stimulating new bone formation. Without the proper amount of Vitamin K in your system, your body cannot properly bind calcium and phosphorus to form the matrix necessary to produce and maintain solid, well-mineralized bone. While the presence of Vitamin K is critical for bone formation, it is also necessary to protect against the calcification of the vascular system. We’ll examine this function of Vitamin K and cardiovascular health in a future article. Two age-related diseases are atherosclerosis and osteoporosis. While there are many contributing factors to the progression of each of these two diseases, medical science has now been able to establish a direct link between them. That direct link points to deficiencies of both Vitamin D and Vitamin K. Research has clearly shown that these two vitamins work synergistically to facilitate bone mineralization leading to strong and healthy bones. At the same time they work synergistically to prevent calcium deposits from accumulating in your vascular system leading to atherosclerosis. The information contained in this article is for general information purposes only and never as a substitute for professional medical advice or medical exam. The information about atherosclerosis and osteoporosis has not been evaluated by the Food and Drug Administration and should not be used to diagnose, treat, cure or prevent any disease without the supervision of a qualified medical doctor.